Shakespeare ZA continues to grow as a portal for the sharing of teaching and learning resources. We invite you to share with us the materials and websites that you have found useful in the classroom or when working on your own. In this section you will find articles, reviews, interviews, slideshows, images, videos, links and lots of other documentation related to Antony and Cleopatra, Othello, Hamlet, Coriolanus and Macbeth, which have been selected as Grade 12 set works for English Home Language learners by the Department of Basic Education (DBE) and the Independent Examinations Board (IEB) in recent years. Various other Shakespeare plays are currently set works in South African schools. Let’s keep building our collection of resources! To start a conversation about some of the general questions - misgivings? - teachers and learners may have about studying Shakespeare in SA today, you can download this presentation by Nina Nathanson (prepared in response to the IEB Common Assessment Task topic in 2018, which raised the problem of Shakespeare’s relevance/irrelevance). 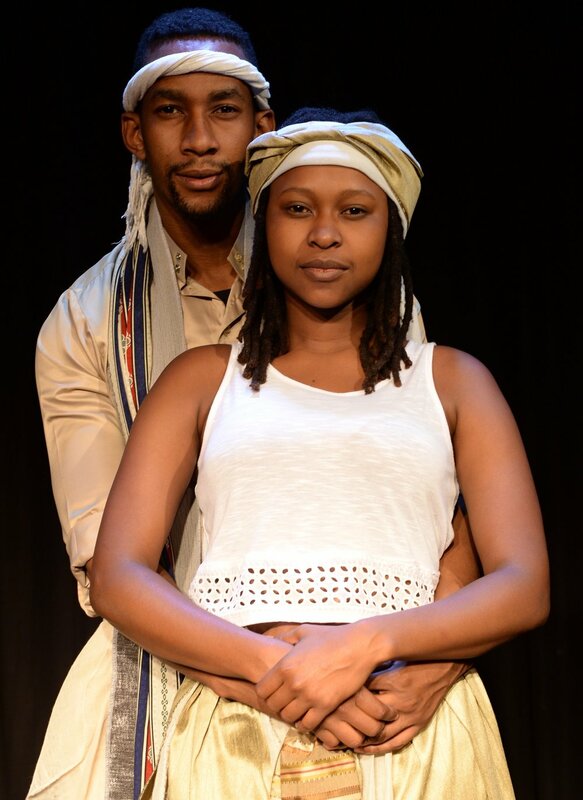 For starters, you might like to read two these articles from Shakespeare ZA’s “Interview Series” about how a South African cast and director developed a schools-oriented travelling production of the play. Here is an essay by Johannesburg-based English teacher Mary van Zyl, discussing how Antony is “two things”: a Roman Antony and an Egyptian Antony. The following videos are of two productions of Antony and Cleopatra by the Royal Shakespeare Company (RSC). The first video is a trailer for the 2017 production – a possible point of departure for discussion. The next two are extracts from the play in performance: Act 1.3 (2017), and Act 5.2 (2013), which might be watched in conjunction with reading these parts of the play. The RSC has also published several teacher packs (2010, 2013, 2017) based on their productions of the play. Shakespeare scholar Farah Karim-Cooper's essay, "Eastern Star", considers the role of Cleopatra and how the character would have been understood and received in early modern England. An Othello spark page, prepared by Mrs Bernice Borain, is displayed below. It may also be accessed here. The videos below are of a 2015 RSC production starring Hugh Quarshie as Othello and Lucien Msamati as Iago. The production is noteworthy because it casts a black man (Msamati) in the traditionally white role of Iago. This casting choice might be an interesting point for discussion and debate. Essays and research papers on the play, including "The mind of Iago" and "Women in Othello". Videos of Act 3.3 and Act 4.3, with accompanying analyses. 'Script Machines' (interactive resources for students to explore literary devices used in particular scenes). These cover Act 1.2 (lines 17-28), Act 3.3, and Act 3.4. In these two videos, Benedict Cumberbatch talks about taking on the role of Hamlet in a 2015 production at the Barbican Theatre in London; alongside, Kenneth Branagh discusses his 1996 film version of the play. There is a general Teacher’s Guide to the Signet (Penguin) edition of Hamlet. The Young Vic Theatre and the Royal Shakespeare Company (RSC) in the UK have also produced interesting education packs linked to their productions of the play. You may find it noteworthy that the RSC material emphasises how their 2016 production (directed by Simon Godwin) was guided by a desire to “draw on influences of African culture”, and to frame the politics, religion and social dynamics of the play in an African context. What do you think of this? Do you think it is possible to generalise about “African” cultural beliefs and practices? Coriolanus is a political play: it is about life on the public stage. The characters and their relationships can be confusing! This fun breakdown of the dramatis personae may help. Coriolanus has a particularly interesting resonance in South Africa – both because of the play’s action and themes, and because it is a favourite of former President Thabo Mbeki. This article by Daniel Roux assesses the connections between Mbeki and Coriolanus in light of the history of “tragedy” as a genre in South Africa. A Macbeth spark page, prepared by Mrs Bernice Borain, is displayed below. It may also be accessed here.